Diego Simeone's side sent Monaco out of Europe on Wednesday, but the Colombia international intimated he would be happy to play for El Cholo again. Monaco striker Radamel Falcao left the door open for a return to Atlético Madrid after taking on his former club in the Champions League on Wednesday. Falcao came on as a substitute and missed an 83rd-minute penalty in a 2-0 defeat that ensured Monaco will finish bottom of Group A. The Colombia international scored 70 goals in 91 matches over two seasons with Atleti and was presented with a framed photograph prior to kick-off. 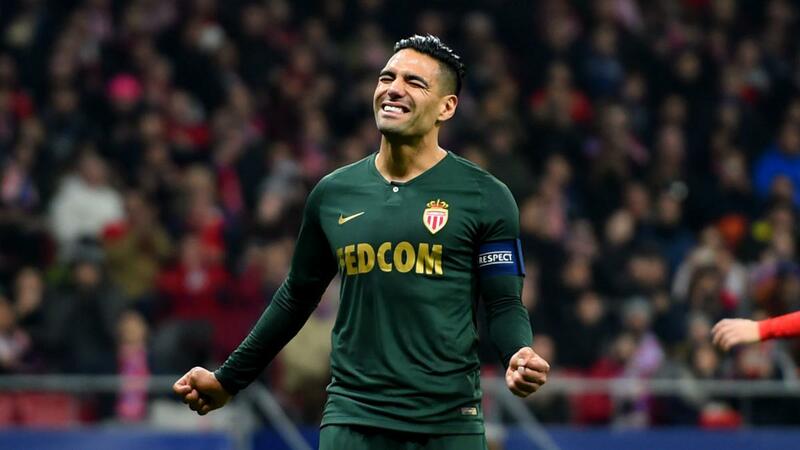 Falcao's contract at Monaco is due to expire at the end of next season and he hinted at a desire to return to the club where he won the Europa League in 2011-12 and the UEFA Super Cup and Copa del Rey the following season. Welcome home, @FALCAO! Adelardo and @diegogodin, as well as the whole Atleti family, paid tribute to the Colombian striker before the game at the Wanda @Metropolitano! "We never know in the future. Obviously, Atlético Madrid will always be in my heart. I don't know, maybe once my contract at Monaco finished, I don't know what will happen. I am always supporting Atlético Madrid," said the 32-year-old, before describing what it felt like to go up against his former employers. "Mixed feelings, a great welcome of the fans, lovely as usual. But we have to turn the page because we have a final at home next Saturday [against Montpellier]." On the gift he received from the club, he added: "I am always grateful and happy. Not just for the trophies or goals, but the people were really thankful for the effort and the engagement. "That's something I identify with. They are the values of this club. I am so thankful and I will keep this souvenir forever."